Today (23rd August 2011) is the Rous Stand’s 25th Birthday. It was officially opened to Hornets fans for the first league game that season; against Oxford United. 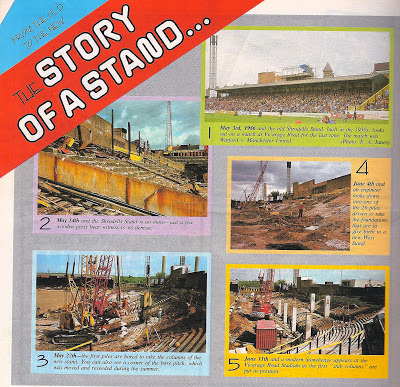 Watford ran out 3-0 winners, but perhaps of more significance, it was also Jon’s very first Watford game! 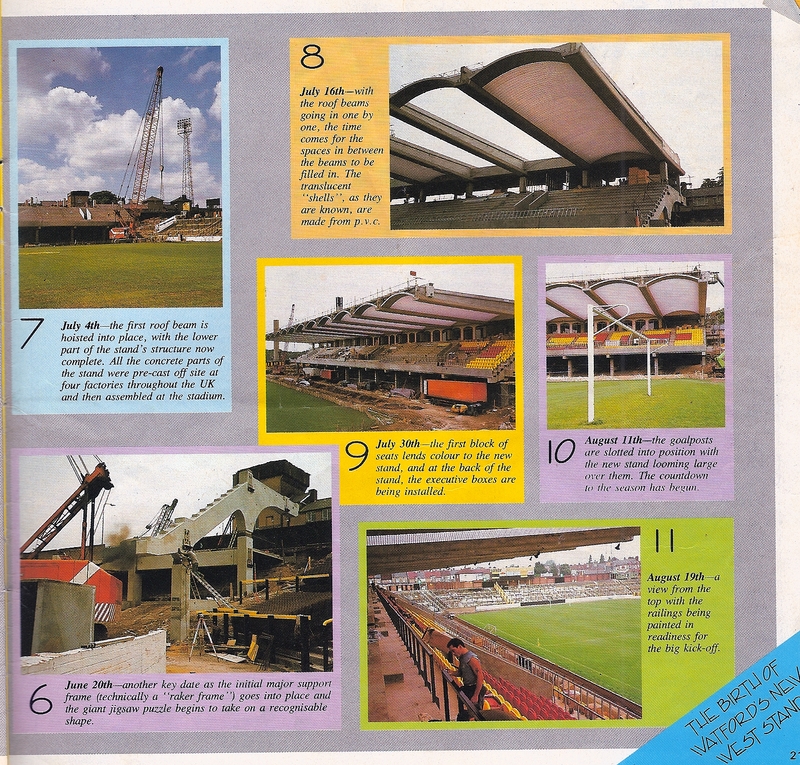 The striking new stand cost £3million and wasn’t actually 100% complete until 1993 when a permanent lower tier was put in to replace temporary seats. We may be season ticket holders in the younger Rookery End, but we have respect for our elders and to celebrate the stand turning 25 we’ve grabbed these photos of the stand being built which were published in the matchday programme from that day. Download the latest podcast via iTunes. Plus, get FTRE blog posts sent straight to your inbox. Simply enter your email address in the “Subscribe by Email” box in the right hand column near the top of this page. Or if you’re really technical you can use this RSS code.